Get star-struck with Toby Lischko’s Kaleidostars! With clear and concise directions, this 96-page must-have book confidently tackles many projects. 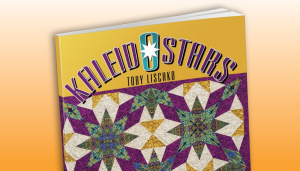 Learn how Toby took the Kaleidoscope block and diamond shapes to create the one-of-a-kind Kaleidostars. This book features an extensive fabric selection guide to make your projects uniquely your own. Each quilt is a blend of symmetrical and high-contrast fabrics, making each of these pieces stand out in a crowd. Toby Lischko has always been interested in crafting. She comes from a long line of sewers, but no one in her family ever quilted. 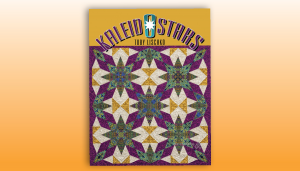 In 1985, thinking it would be fun for her and her mom, she signed up for her first quilting class. Needless to say, quilting became a passion and over 20 years later, Toby is still completely in love with the craft. 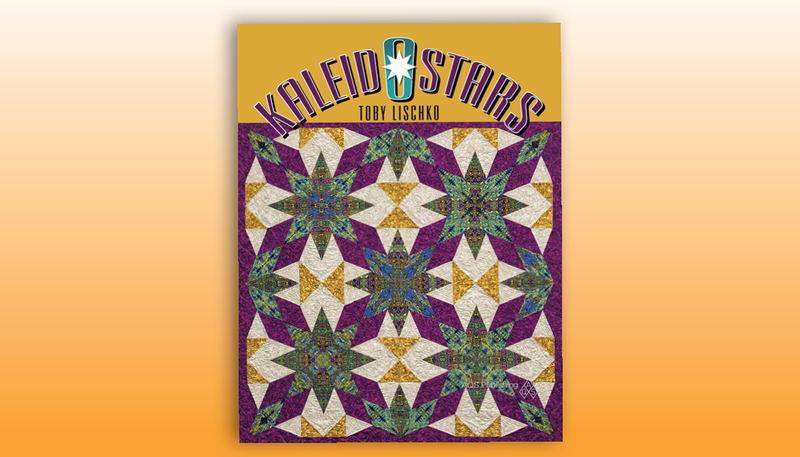 As she’s perfected her craft over the years, she branched out into competition quilting and teaching. Now, she’s a highly respected designer.